Singapore, 19 May 2016 – In response to growing demand from family businesses in Asia Pacific for expertise and thought leadership around succession planning, family governance and strategic growth advisory, PwC is setting up a new specialist centre of excellence headquartered in Singapore to cater to the needs of family businesses located in the region. Led by Ng Siew Quan, PwC’s Asia Pacific Entrepreneurial & Private Clients Leader, the Centre will focus on advising businesses with a special focus on the next generation of family business leaders (next gen). Ng brings with him almost a decade of experience as a trusted family business adviser along with a network of family business experts from Europe and the Americas, who will provide insight and capabilities from their experiences working with older family businesses from the Western part of the world. “Many family businesses from Europe and more mature markets are in the fifth generation or older. Our latest Family Business Survey shows that although these family businesses may differ in location of origin, many of the issues they face around succession planning or inter-generational change are largely similar. The challenges that family businesses in Singapore face to expand are not unique, but often there is an added layer of complexity either in the form of resistance from the older generation of management or workers, or the lack of a succession talent pipeline. 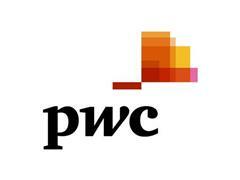 To find out more about the PwC Asia Pacific Centre for Family Business Excellence, please visit http://pwc.to/1qhuwWU​.